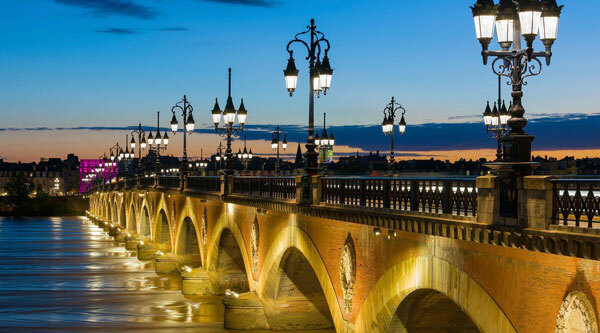 Bordeaux is the largest fine-wine-producing area in the world. Its red wines, which make up a shade under half of its total production, are known in Britain as claret. Historically, they are the table wine of the ordinary british wine drinker. There was a long period when this was no longer true - the greater part, in fact, of the 17th, 18th and 19th centuries - but the British have always had a weakness for claret, even when war or taxation have prevented them getting it. Today it is once again the most commonly drunk, as well as the most highly prized, of the red wines which are described as "table" because they are incomparably at their best with food. Red Bordeaux is among the light and dry red wines. So large an area obviously has a wide divergence of style - from year to year as well as from place to place - but the overriding hallmark of claret is to be slightly mouth-drying and at the same time to taste of fresh soft fruit. It is not what is known as "fruity". Very fine old clarets eventually reveal that there is still some sugar in their systems; they seem to allow themselves to smile after decades of keeping a stiff upper lip. But sweetness (except of character) is not the thing to look for in a claret. Spiciness - the kind of scent found in a cigar-box - there sometimes is, and quite frequently a slight hardness of taste of the stalks. In poor years red Bordeaux can seem thin, poor stuff - acid and watery - but it rarely loses its typical, refreshing, individual taste.